Last year Sony celebrated 20 years of Playstation consoles. 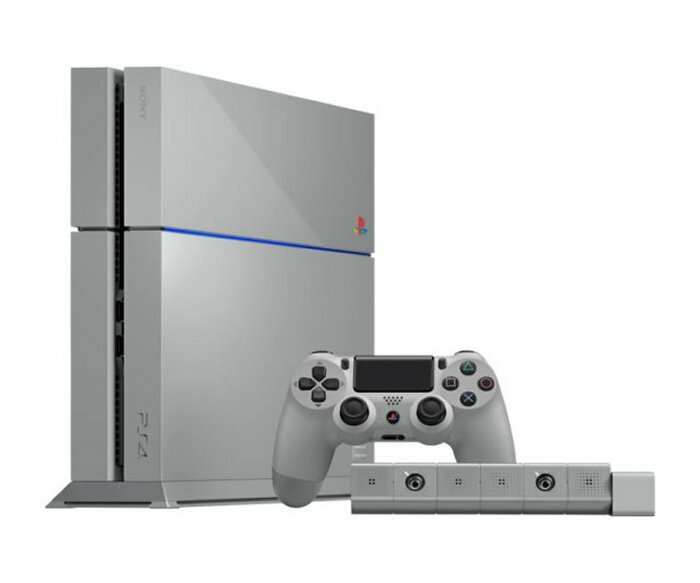 To commemorate the event it launched a special 20th Anniversary Edition PlayStation 4. It’s really no different aside from the color which is a tribute to the original PlayStation console. They are in high demand since only 12,300 units were produced. That’s why many ended up on eBay for crazy prices. One was sold on eBay for $20,100. Can it get any crazier? Yes it can. Now a man is asking for $20,300 on Kickstarter so that he can take a sledgehammer to a 20th Anniversary Edition PS4. I can think of much better uses of your money, but to each their own. In the U.S. Sony sold out of this limited edition PS4 within a few hours. Same thing happened in the UK. In the first few days the 20th Anniversary PlayStation 4 was selling for over $20,000 but now there are more units available on many auction websites so the going rate seems to be just over $1,000. Charles Tiongson now has a Kickstarter which involves him unboxing a 20th Anniversary Edition PS4, “but afterward I will use a sledge hammer to utterly destroy it,” the description reads. $1 gets you a link to the YouTube video before its released. For $5 you can have your name or PSN ID in the credits. $50 gets the link, name or PSN ID in the credits and a small piece of the broken console. $100 gets all of the above with a larger piece of the broken console. Right now it is at $121. with 4 backers.